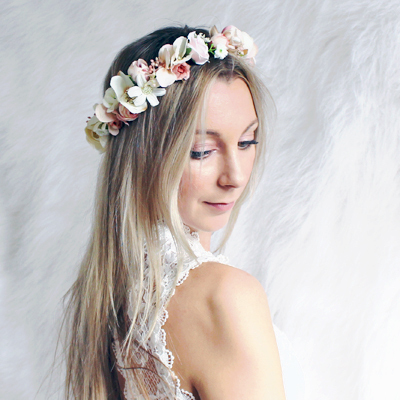 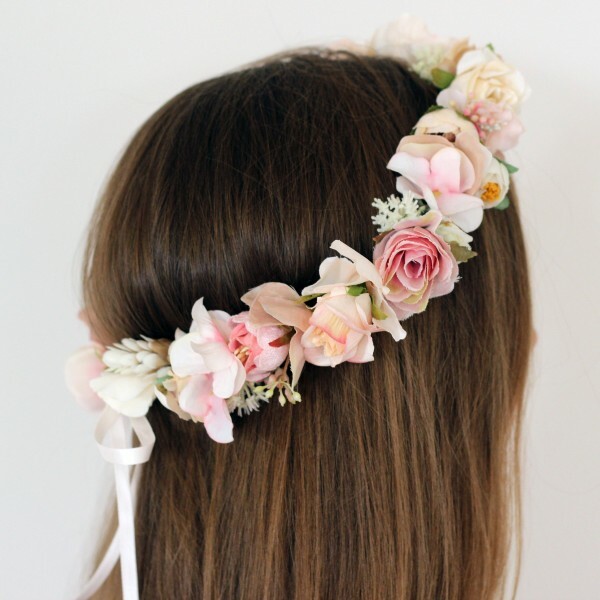 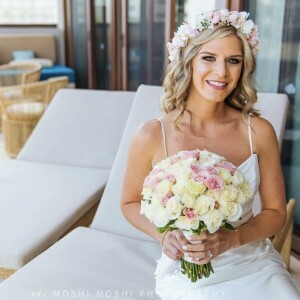 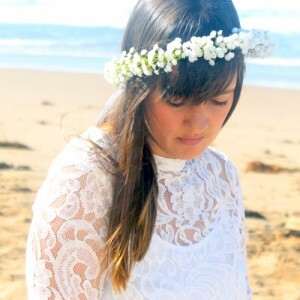 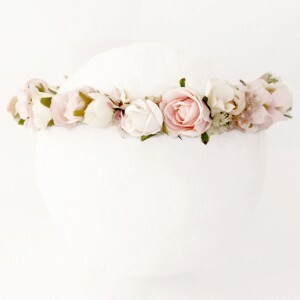 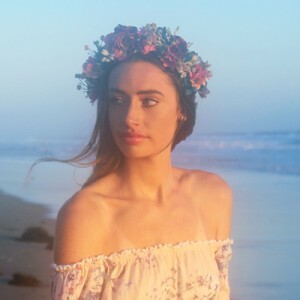 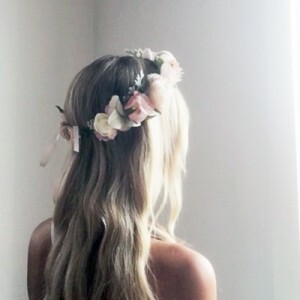 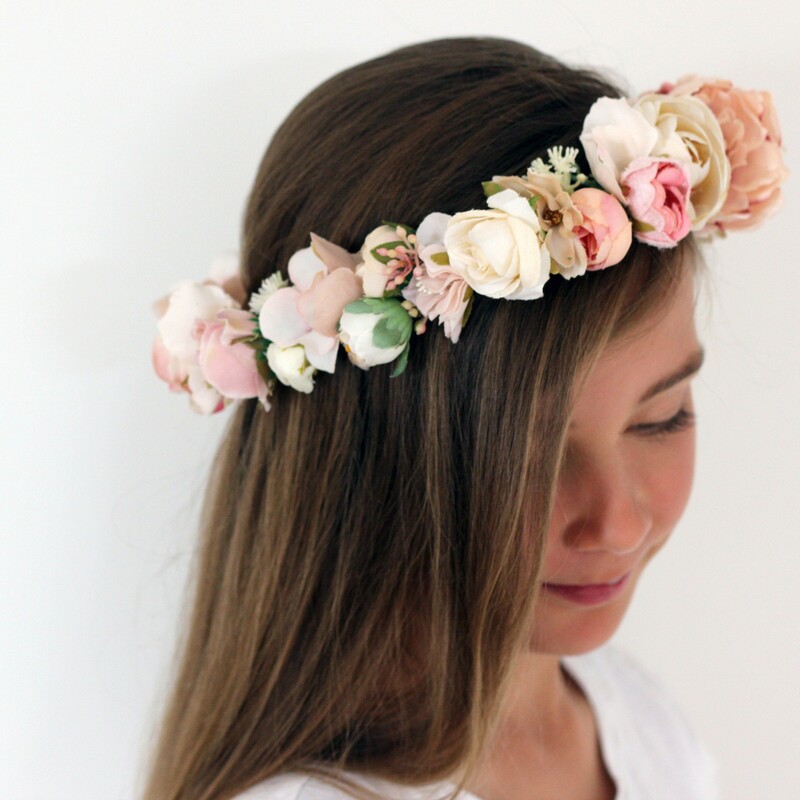 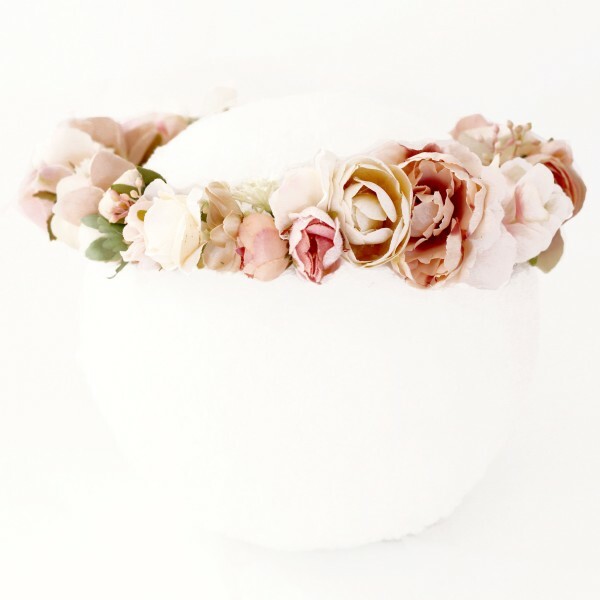 One of our favourite flower crowns online! 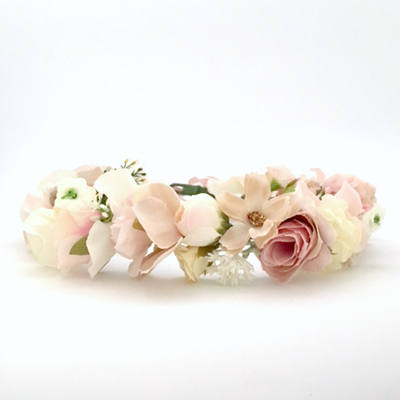 Adorned with a vintage inspired colour palette of ivory, beige and pink without foliage. 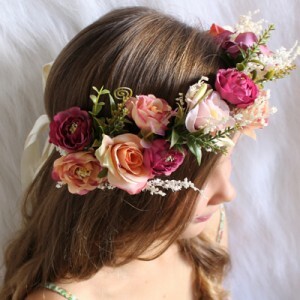 A full wreath crown wraps around the head. 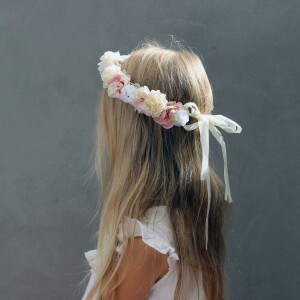 One size fits all women, adjustable with the ribbon at the back of the hair. 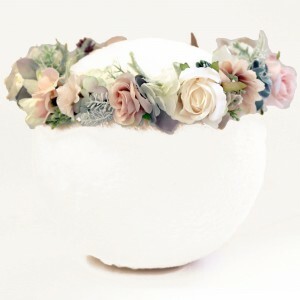 Smaller sizes available upon request.